Fatigue feels like a lower than normal amount of energy, as if your personal batteries are almost run down. There are many ways to combat this feeling of lethargy. Three changes to your daily routine will help you avoid fatigue. Carbohydrates in food enter your cells as sugar, but some are faster to digest than others. Candy’s pure sugar almost immediately enters the bloodstream. This gives you a quick energy boost, but once your cells have stored away the blast of sugar, your energy level crashes. This often leaves you feeling tired or sleepy. Other foods, such as fibrous vegetables, take longer to break down into sugar in your digestive tract. The slow release of energy doesn’t cause the up-and-down feeling of energy from a fast-digesting carbohydrate. 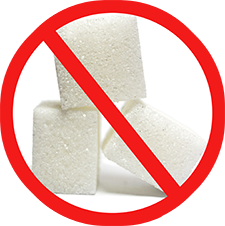 In addition to fatigue, high levels of blood sugar can lead to significant health problems such as Type 2 diabetes, heart disease and obesity. So find low-carb versions of your favorite high-carb dishes (try mashed cauliflower instead of mashed potatoes, for instance) and add more fiber to your meals (eat more legumes). Inadequate sleep, whether caused by insomnia, a disorder like sleep apnea, or simply not allowing adequate time in bed, not only makes you feel tired, but can lead to other health problems. Lack of sleep has been linked with high blood pressure, immune disorders, obesity, diabetes, high blood pressure and stroke. 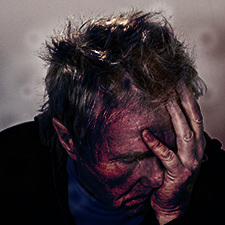 If the cause of your sleep deficit is a medical disorder, such as restless legs or snoring, check with your physician. If you just aren’t getting to bed soon enough, write your earlier planned bedtime in your planner. Establish a pre-sleep routine to wind down. Learn the new habit of getting enough shut eye. If you are thinking of using prescription or non-prescription sleep aids, carefully study the potential side effects. Exercise, even brisk walking, will help improve your health overall. You don’t need to hit the gym to use a treadmill or weight machines to reduce your risk of heart disease, increase your lifespan and strengthen your bones. Daily exercise also improves your mood, improves sleep quality, and fights fatigue. Make these three changes in your lifestyle — better diet, adequate sleep and regular exercise — and you will soon feel peppier and less fatigued.